Also called striped Jack-in-the pulpit, this herbaceous perennial is a member of the arum family, Araceae, that also includes skunk cabbage, calla lily, and elephant ear. It is native to western China where it grows in oak forests and shrubby valley at high altitudes. 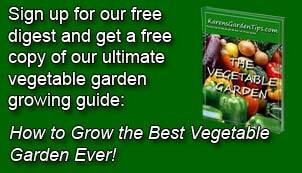 Plants grow from corms and are late to appear and flower. 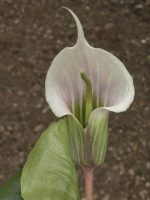 The inflorescence emerges first in late spring to early summer and consists of a spadix with small flowers and a hood like 3-6″ spath that is white with green stripes on the outside, and white with pink stripes on the inside. Two large leaves appear after the flowers and are three lobed, up to twelve inches long, and provide color in the fall.